Yet another makes all the same claims regarding “Wild Thing,” by the Troggs. They cannot all be right. Please separate the facts from fiction? DEAR GEORGE: The Troggs story is factual and fascinating. The Dog sites are probably well-intentioned, but much in need of an overhaul. Yes, both ABC and Columbia charted with individual versions of “Pampered Menial,” but not simultaneously. In February 1975, ABC released “Pampered Menial,” Pavlov Dog's first album (ABCD-866). In March, they lifted two one-word tracks, “Julia” and “Episode,” from the LP for a single (ABC-12086). 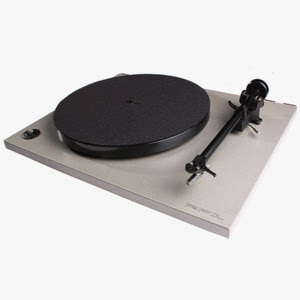 On April 5th, “Pampered Menial” began six weeks of hovering in the lower 10% of the Top 200 LPs. “Julia,” their only single, did not chart at all. Surprisingly, ABC dropped Pavlov's Dog, leaving them to be picked up by Columbia, who quickly repackaged “Pampered Menial” (PC-33552). Five weeks after ABC's original dropped off the charts (June 14), Columbia's entry debuted. Like the ABC entry, this version also remained near the bottom of the charts. This means the first two sites you reference are wrong. Issued in the UK in April, “Wild Thing” debuted May 7th at No. 27 on Britain's New Musical Express (Fontana TF-689). New York's Atlantic obtained what they thought was the exclusive right to release Troggs recordings in the U.S. and Canada, on their Atco label. To their surprise, “Wild Thing” 45s were also being distributed here by Fontana (1548) as well as Atco (6415). The first week of June, furious over Fontana's release, Atlantic et al brought suit against Mercury et al (Fontana) in N.Y. Supreme Court, seeking an injunction against their North American's issue of “Wild Thing,” and any future Troggs music. “Wild Thing” made its U.S. chart debut on Cash Box (No. 82), on June 18th, with both Atco and Fontana given equal credit as the label. But the records were not identical. Atco put “With a Girl Like You” on the B-side, and two months later, it made the Top 30 by itself. Fontana's B-side, “From Home,” never charted. One week later “Wild Thing” entered Billboard's Hot 100 (No. 75), also crediting both Atco and Fontana. For the remainder of 1966, every Troggs record, regardless of format, was promoted, distributed, sold, and charted simultaneously on two labels. August 6, 1966: Unconcerned that “With a Girl Like You” was the B-side of the No. 1 hit, “Wild Thing” (Atco 6415), on sale for two months and already owned by hundreds of thousands, Fontana still issued it. Their 45 is backed with the non-charting “I Want You” (Fontana 1552). Also in August, both labels rush-released a “Wild Thing” LP, with identical tracks but very different packaging and graphics (Atco 193 and Fontana 67556). Siamesed again, the twin releases shared a chart position each week for four months. Each step seemed to perpetuate an already nutty situation, particularly evident come September. The month began with “Wild Thing” (Atco flip side being “With a Girl Like You”) at No. 31 and falling, and “With a Girl Like You” as No. 32 and rising. Of course Atco and Fontana were cojoined on both. Now that's something you don't see every day. It gave the Troggs two separate records containing “With a Girl Like You,” at consecutive chart positions, moving in opposite directions. On October 15th, the two highest debuting singles were both “I Can't Control Myself.” Same Troggs song, but on Atco (6444) and Fontana (1557). Both have “Gonna Make You” on the B-side. Following six months of legal wrangling, Atlantic and Mercury finally agreed to settle the pending litigation. As of early December, Fontana received exclusive rights to all new Troggs material. For an unspecified period, Atlantic would receive royalties on Troggs records made by Fontana. 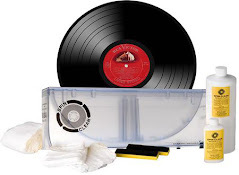 Atlantic would immediately cease manufacturing Troggs records, but their distributors could continue selling existing inventories until gone. That put an end to one of the recording industry's more bizarre events: Trogglomania. IZ ZAT SO? With Atco out of the picture, none of the four Troggs singles charted in 1967, though they did score a Top 10 hit in early '68 with “Love Is All Around” (Fontana 1607). Also in 1968, the Troggs made their first visit to the U.S. It appears that Atlantic gave up very little in the settlement, and came away pretty much unscathed. 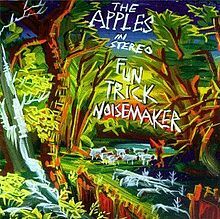 Yep Roc Records are reissuing The Apples in Stereo's debut album, 'Fun Trick Noisemaker,' on vinyl this week. Originally released in 1995, the album has not been available on vinyl in more than 15 years. The reissue includes all of the original artwork, liner notes, rephotographed paintings by Steve Keene, and a four-color poster insert. All Music Guide called The Apples in Stereo's debut "one of those records that marks a sea change in musical attitudes." "It was a concept album about growing up, about summertime and the end of summer vacation, sunny but bittersweet," says Robert Schneider. "We spent our entire recording budget on microphones, compressors and an eight-track tape machine, with almost no idea how they worked, then we set out to create a perfect hybrid of Sixties psych-pop and the lo-fi scene we identified with, a fusion of Pet Sounds, Piper at the Gates of Dawn and Crooked Rain, Crooked Rain." With Conor Oberst returning to Bright Eyes, the band's early catalogue will be re-released on vinyl. There will be six reissues of these long out of press records, starting on March 6 with 'A Collection of Songs Written and Recorded 1995-1997' and 'Oh Holy Fools: The Music of Son, Ambulance & Bright Eyes'. Look for more on this in upcoming posts! Extended Play: Could Vinyl Save Music Retailers? The past fifteen years has seen a flood of stories predicting the demise of the music industry. To listen to "the Big Three" (formerly five) major labels tell it, MP3s and piracy are killing music. Musicians are going broke, record stores are closing, and the music we listen to has no value. Can the "value of music" really be measured in dollar signs? Strawberry Jam may cost $9.99 on iTunes, yet there are legions of Animal Collective fans to whom that record means much more than ten dollars. And musicians have always been broke -- arguably creating some of their best work as a direct result of it. MP3s and piracy aren't stealing from musicians; they're taking revenue from major labels unwilling to modify an old business strategy. Historically, musicians actually generate most of their income from performing. There are obvious exceptions to this rule (the Beatles come to mind), but by and large, artists make a living from concert ticket sales. Albums are marketing conduits to drive fans to the shows. If musicians were making sustainable amounts of cash from record sales, groups like NOFX wouldn't tour incessantly. "The True Legend album, the one from Svartsyn's discography that can boast with being sold out and not available for a dog's age, has been remastered in full at Clintworks Studio - a studio opened in Hamburg by Dennis Israel; an assistant engineer who previously worked with Jens Bogren at Fascination Street Studio (Amon Amarth, Opeth, Paradise Lost, Katatonia). The rerelease has been partly rerecorded and equipped with a new layout and cover drawn by US artist Chadwick St John. "The album will be available as a CD and - for the first time – on vinyl. There will be a standard 12-inch black vinyl edition and limited to 100 copies colored vinyl edition (the second one available via Agonia Records Webshop exclusively). "Svartsyn is a black metal band that originates from Sweden. 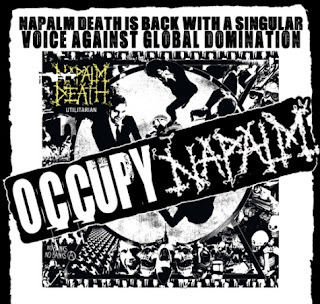 They have earned a cult status in the metal underground, releasing six albums to date. Their last full-length, Wrath upon the Earth, was out in 2011. The True Legend was originally out in December 1996 by German label Folter Records." 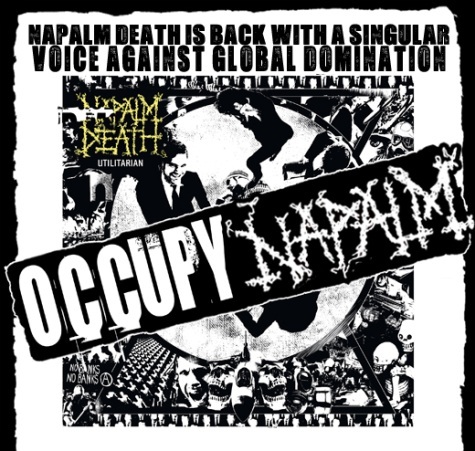 British/American grindcore pioneers NAPALM DEATH will release their 14th studio album (excluding the cover album "Leaders Not Followers"), "Utilitarian", on February 27 in Europe and February 28 in North America via the band's longtime partner, Century Media Records. 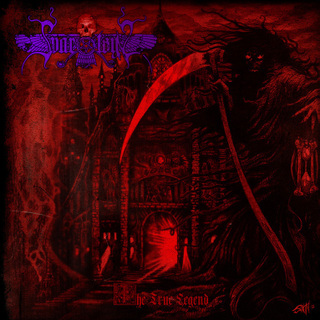 The cover artwork (see below) perfectly fits the album's theme and was created by the Danish artist Frode Sylthe, who is also responsible for THE HAUNTED's "rEVOLVEr" artwork. Finnish melancholic melodic death metal outfit BEFORE THE DAWN returns after living through a phase of changes and uncertainty — cleansed, renewed and stronger than ever! Leaving pieces of both the musical and personal past behind, mastermind Tuomas Saukkonen, lead guitarist Juho Räihä and their new companions get ready for conquering your ears with the finest blend of northern gloom and harsh melodic death metal. Their seventh studio album and at the same time second release via Nuclear Blast Records is entitled "Rise Of The Phoenix" and will arise from the ashes on April 27. Bulgarian death metallers Enthrallment have unveiled the cover and track listing for their forthcoming album "People From the Lands of Vit." The album will be released soon by the American label United Guttural. The cover art of the album, entitled "Hell," is a creation by the Bulgarian artist Stefan Stefanov. 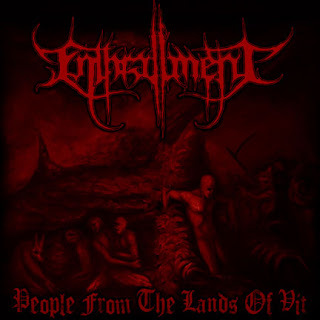 While waiting for the new album, check out Enthrallment's material from "Immerse Into Bloody Bliss" over on MySpace or the band's last official video for "Cane the Messiah with the Crook" after the tracklisting and cover art. Indie rock band Beyond Conception released their fourth studio album, FLOW, with Grammy Award winning Producer Jack Douglas, who’s work includes the late John Lennon, The Who, and Aerosmith, to name a few. Producer Jim Wirt, whose credits include Incubus, Fiona Apple, and Jacks Mannequin, along with up-and-coming Producer/engineer Marlon Luna, have worked with front man Justin Abrams and musician Matt Abrams to release this international ground-breaking album. Los Angeles, CA (PRWEB) January 25, 2012 - Indie rock band Beyond Conception released their fourth studio album, Flow, with Grammy Award winning Producer Jack Douglas, who’s work includes the late John Lennon, The Who, and Aerosmith, to name a few. Producer Jim Wirt, whose credits include Incubus, Fiona Apple, and Jacks Mannequin, along with up-and-coming Producer/engineer Marlon Luna, have worked with front man Justin Abrams and musician Matt Abrams to release this international ground-breaking album. “These songs are really great, the melodies draw you in and keep you listening” says Stone Temple Pilots guitarist Dean Deleo. The album has already been well-received by its fans through social media and has begun to draw a large following from Indie rock listeners worldwide. A soon-to-be-released music video for the album hit song “Flow” has been produced and is expected to draw enthusiastic worldwide attention. The band has also been nominated for “Best Indie Rock Artist” by The 2012 Artists in Music Awards. Beyond Conception was born to assure simplification in the music process with a laid back flow. This feel-good thriving band roots itself from two brothers; Front man Justin Abrams and Musician Matt Abrams. Both share the ambition to inspire artistic visions across the world. Along with their recent Album release, over a dozen Film/TV placements in International TV Shows, Feature Films, and Commercials, the band recently wrote a stadium anthem song, “Let’s Go San Diego” for the NFL Football team San Diego Chargers which is now played at all their home games. 4. Mazzy Star - Common Burn 7"
5. Guided By Voices - Chocolate Boy 7"
6. Deerhoof / David Bazan - Deerbazan 7"
7. PUJOL - Nasty Brutish & Short 10"
Literally Tons of Records for Buy & Trade, Outdoor Vendor Village with Dozens of Artists & Designers + the brands they've created, B-boy Competition, Live Performances by Free Moral Agents and many others, Open Cut Session, Producer Invite Upstairs, Kids Arts & Crafts outside, Bar Available for the 21+ and sooo much more. Resident DJ's share rare selections from they're record collections.. 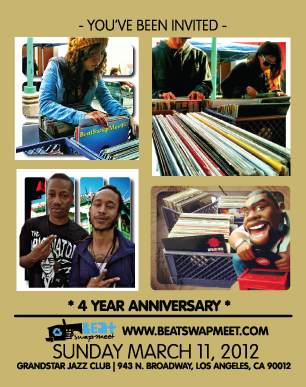 Outdoor Vendor Village featuring Dozens of Artists & Designers + the Brands They've Created..
Get your broken Turntable or MPC fixed! That's right, we have onsite music-mechanics that will send your equipment home repaired. All Hardware, No Laptop's, No CD's. In 1958, Elvis Presley's "Jailhouse Rock" became the first single to ever enter the UK pop chart at Number One. 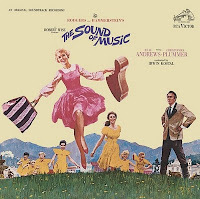 In 1960, the original cast recording of The Sound of Music started a 16-week run at #1 on the U.S. album chart. In 1960, the National Association of Broadcasters threatened disc jockeys over the Payola scandal, saying they would fine anyone who accepted money for playing records. In 1961, Bob Dylan finds the family of Woody Guthrie in New York and teaches son Arlo Guthrie how to play harmonica. In 1962, Sam Cooke released "Twistin' the Night Away." In 1963, Janis Joplin performed in San Francisco for the first time. In 1963, Vee Jay records signed a contract to distribute the Beatles records in the US. In 1964, the Beatles scored their first number one best seller in the US when "I Want To Hold Your Hand" reached the top of the Cash Box Magazine music chart. The Fab Four would eventually rack up 25 number ones in America. In 1969, at Apple Studios in London, the Beatles recorded "For You Blue," which at the time had the working title of "George's Blues (Because You're Sweet and Lovely)." Producer Phil Spector completed the track in January 1970 at Olympic Studios. In 1975, the Carpenters went to #1 on the US singles chart with their version of The Marvelettes’ 1961 hit “Please Mr. Postman.” The Marvelettes version led the hit parade in January, 1961. Although the Beatles also recorded a popular version of the song, it didn't make the American Top 40. In 1976, R&B singer/songwriter Chris Kenner died after a heart attack at the age of 46. In 1978, Joy Division made their live debut when they played Pips in Manchester, England. In 1980, Paul McCartney is released from a Tokyo prison after being arrested with a half-pound of marijuana. In 1983, the Allman Brothers Band’s bassist Lamar Williams died of lung cancer at age 34. He joined the band in 1972 after the death of original bassist Berry Oakley. In 1986, manager Albert Grossman died of a heart attack while flying on Concorde from New York to London. He managed Bob Dylan (between 1962 and 1970), Peter, Paul and Mary, The Band, Janis Joplin and Todd Rundgren. Grossman built the Bearsville Recording Studio near Woodstock in 1969, and in 1970 he founded Bearsville Records. In 1988, George Harrison released the second single from his "Cloud Nine" album, "When We Was Fab," written by Harrison and Jeff Lynne about the days of Beatlemania. In 1991, Paul McCartney recorded MTV Unplugged. One of the show's many memorable moments was his singing of "And I Love Her," which marked the first time he had performed the song anywhere outside of the Beatles. In 2000, a 1930 aluminum record is found with Frank Sinatra singing Roses of Picardy. It's believed to be his earliest recording. In 2005, Ray Peterson, the voice behind the June 1960, US number 7 hit, "Tell Laura I Love Her" passed away at the age of 65. After the hit records stopped coming in the early '70s, Peterson became a Baptist Church minister and occasionally played the oldies music circuit. In 2011, Mary-Lu Zahalan-Kennedy became the first person in the world to graduate with a Masters degree in the Beatles. The 53-year-old former Miss Canada finalist signed up for the course on the Beatles when it began at Liverpool Hope University in March 2009. The ground-breaking study program looked at the studio sound and composition of the Fab Four and examined the significance and impact of their music on Western culture.